You may be asking yourself, “What are a couple of Canadian girls doing writing about 4th of July decorations?”. Well, first of all many of our lovely readers are from the U.S. and we didn’t want you to think that we’ve forgotten about you in all of our Canada 150th birthday celebrating. Also, we have close family and friends all throughout the States, including Florida, Colorado and Texas. Growing up, we spent many vacations with our aunts and uncles in Southern Florida (hello Boca Raton!). So we’ve always felt close with our southern neighbours (couldn’t help using the Canadian spelling there 😀 )! 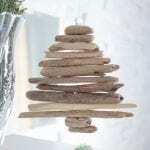 Last winter we created this lovely layered wood star garland. 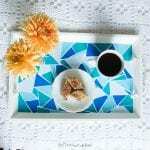 You can find the full tutorial for it over on the DecoArt project gallery. 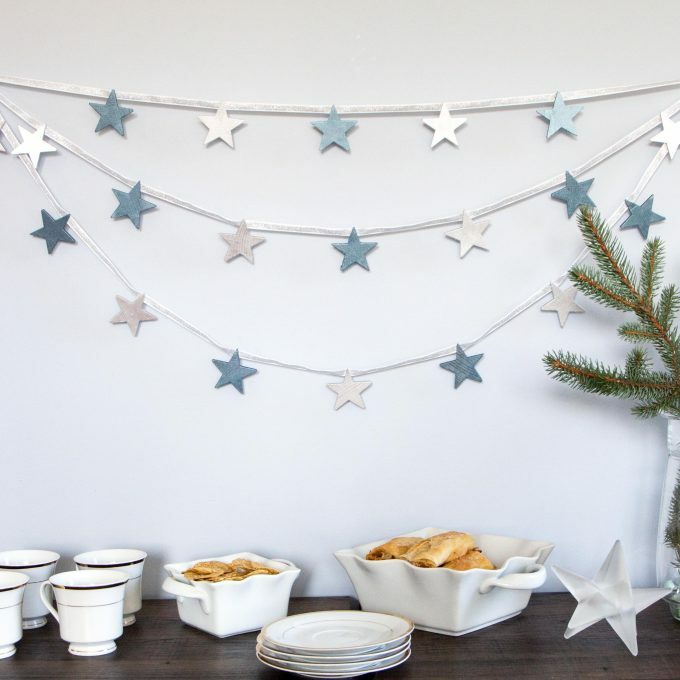 While it’s great as winter or New Year’s Eve decor, the blue and silver stars reminded us of the 4th of July. 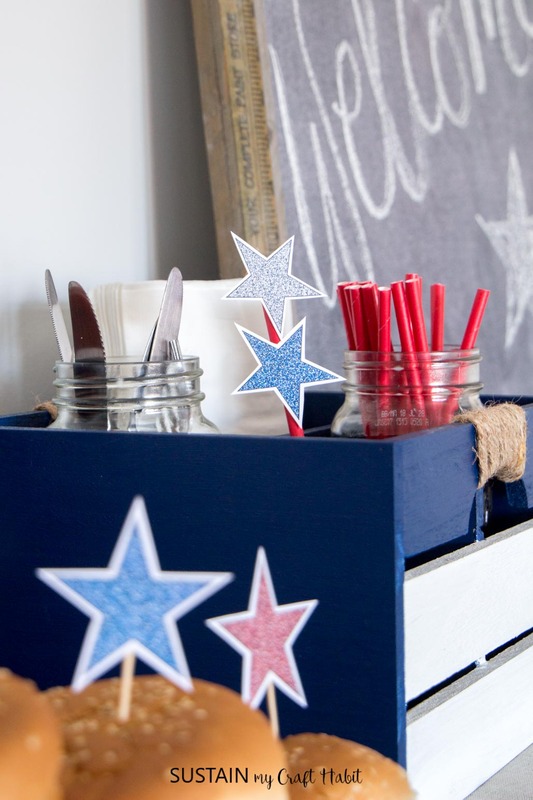 Alongside this DIY BBQ caddy (also on the DecoArt Project gallery) it’s the perfect patriotic decor for your fourth of July party. 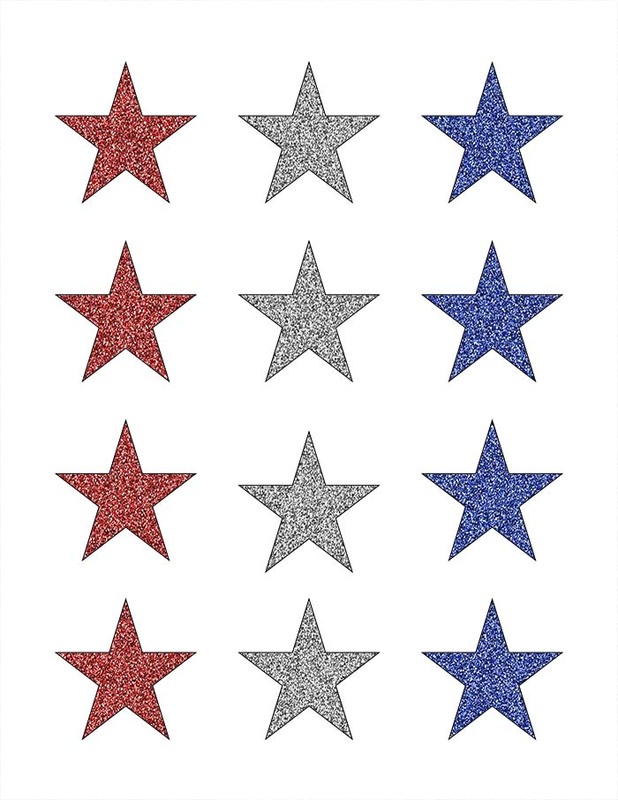 And for a little icing on the cupcake, we’ve made these free printable sparking star cupcake or burger toppers for you. These are just the perfect little touch to make your buffet table or BBQ a little more festive! 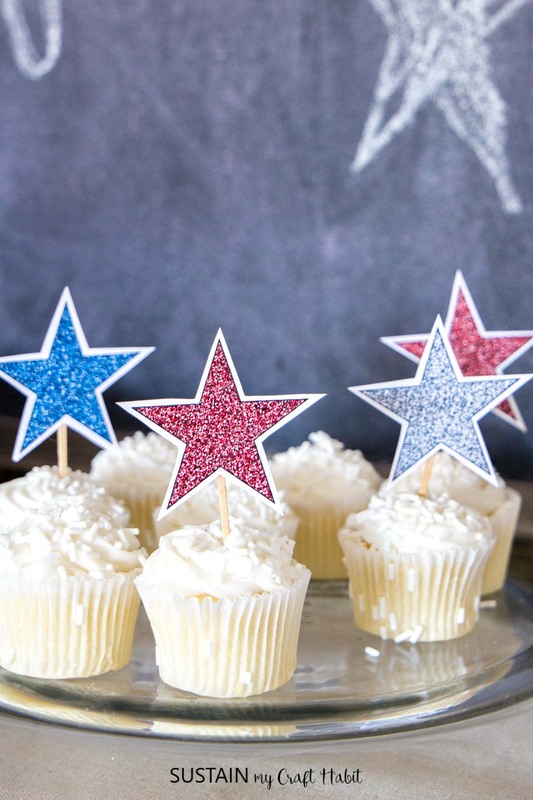 Glue a small toothpick to the back of each star with a hot glue gun and clear craft glue, or glue several together on a long wooden dowel for some simple patriotic decorations. 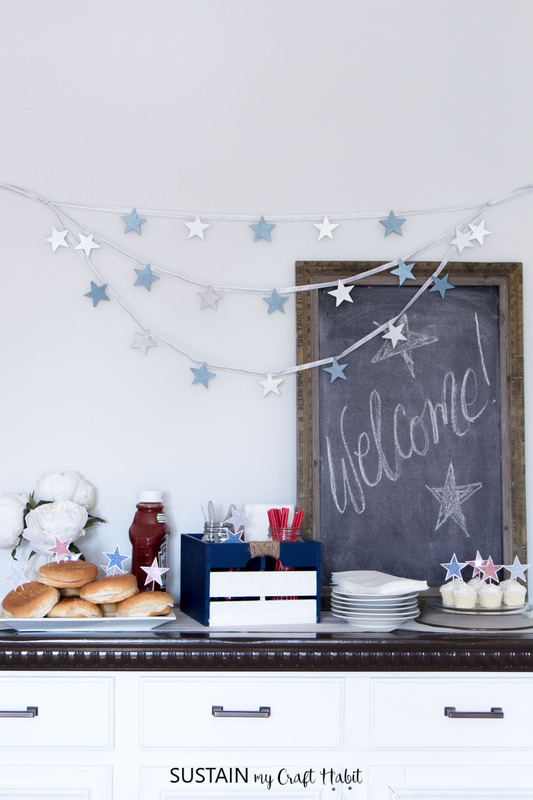 There’s so many ways to use these red, white and blue sparkling stars beyond patriotic decor. String the red ones together to make a star garland for Valentine’s day or Christmas. Or simply frame the printable to use as wall art. 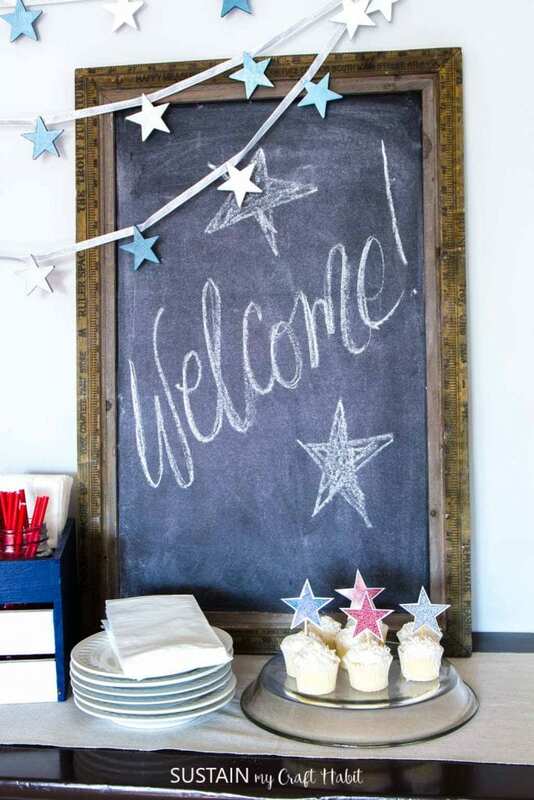 If you’re looking for more starry DIY ideas, check out our sparkling wine cork star craft. 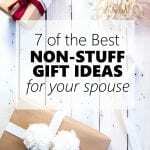 We also have tons of free printables on our blog. 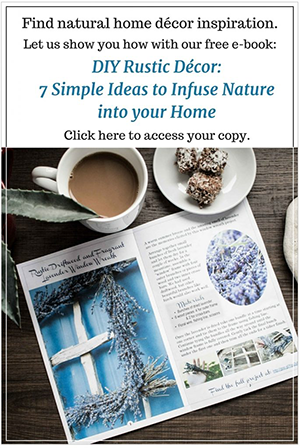 Be sure to subscribe to receive all the new freebies and simple DIY, craft and home decor ideas. We’ll send along our guide to creating your own rustic tablescape as a thank you! 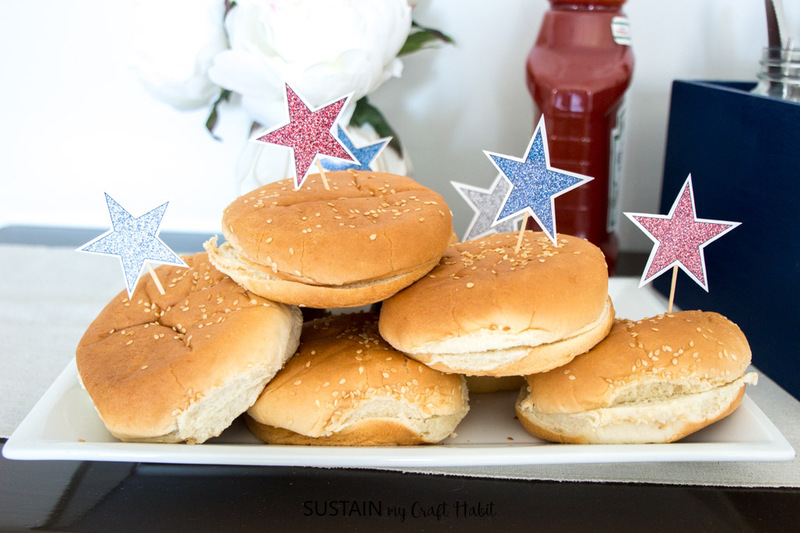 Are you all set with your 4th of July decorations? Previous Post: « How to Paint a Front Door for Added Curb Appeal!